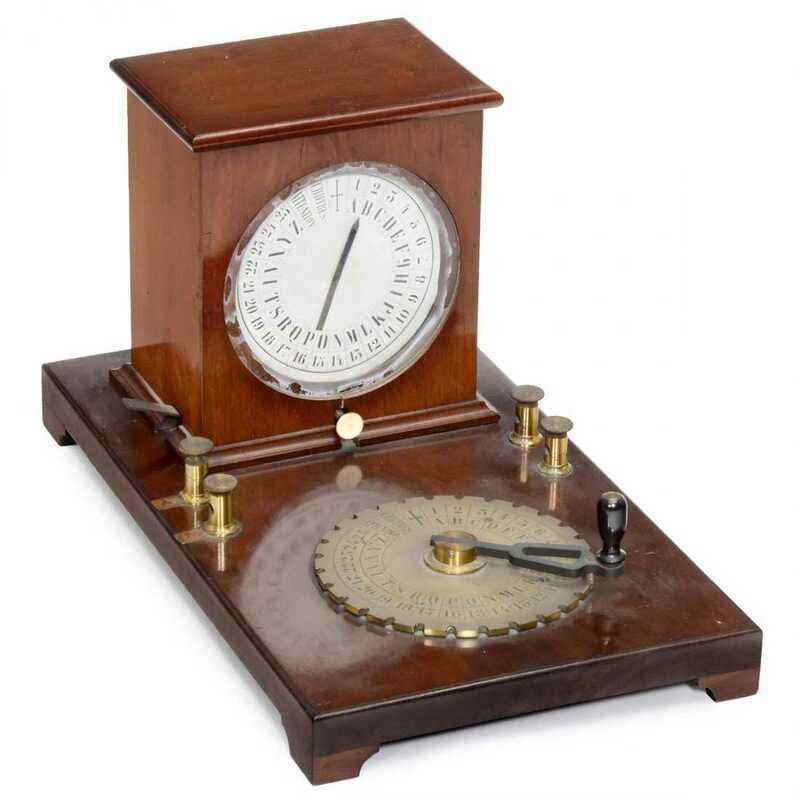 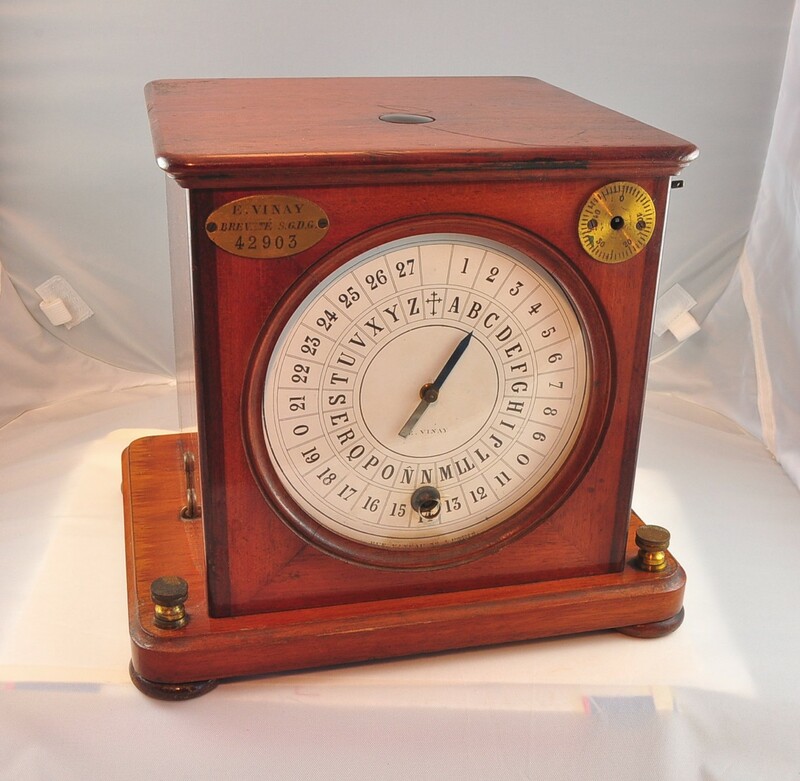 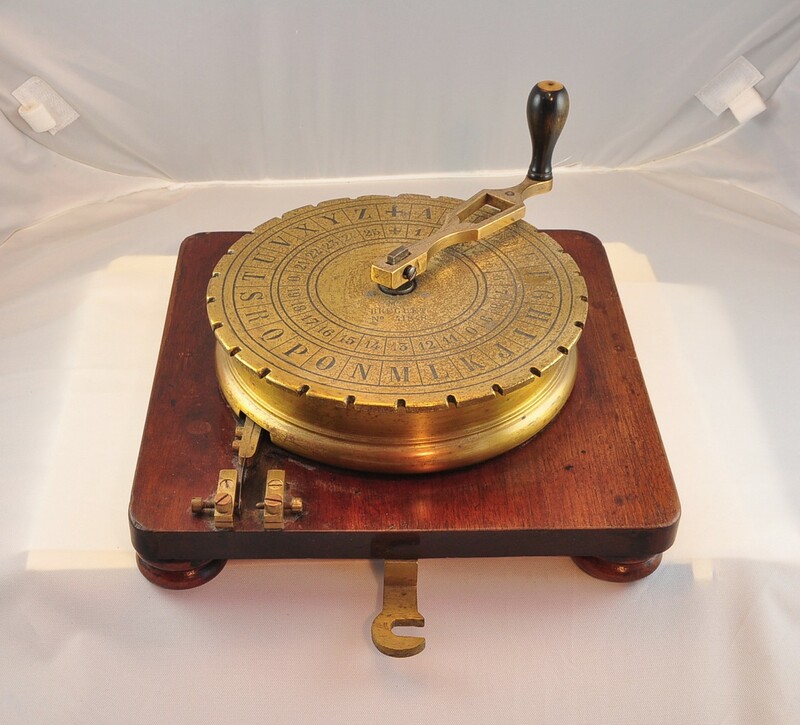 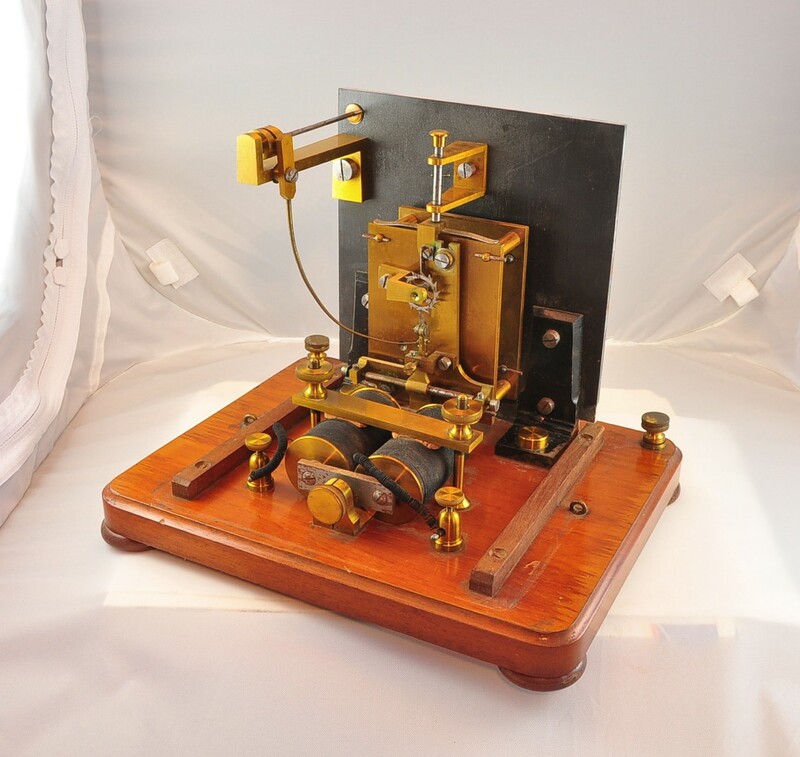 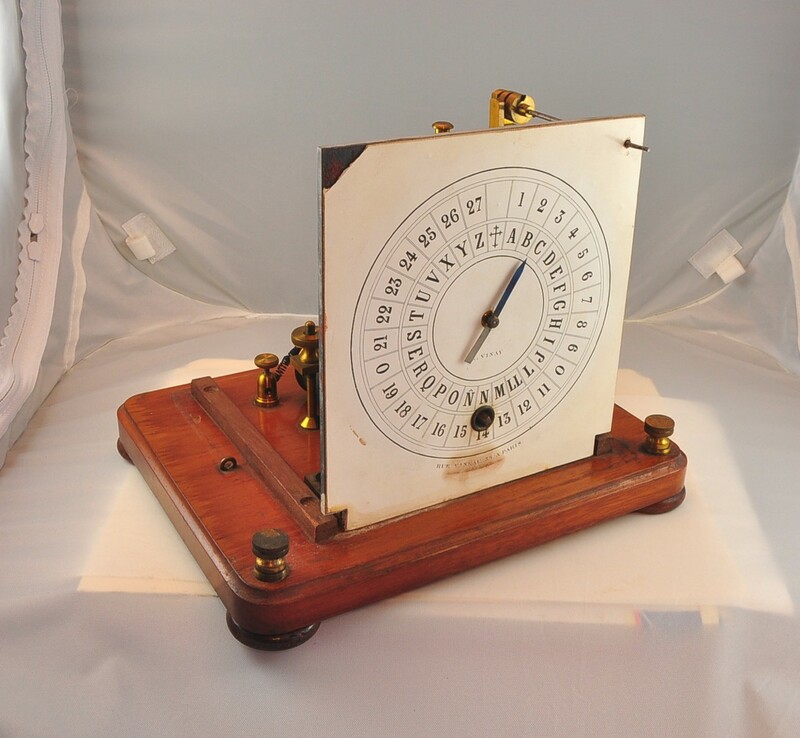 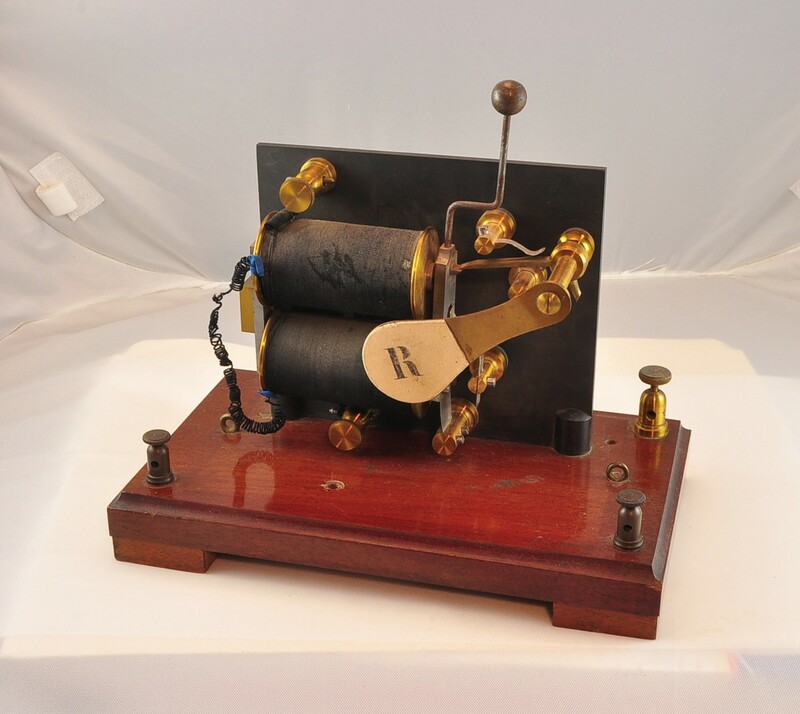 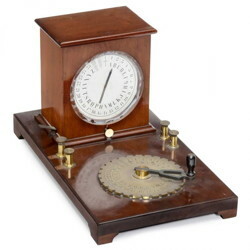 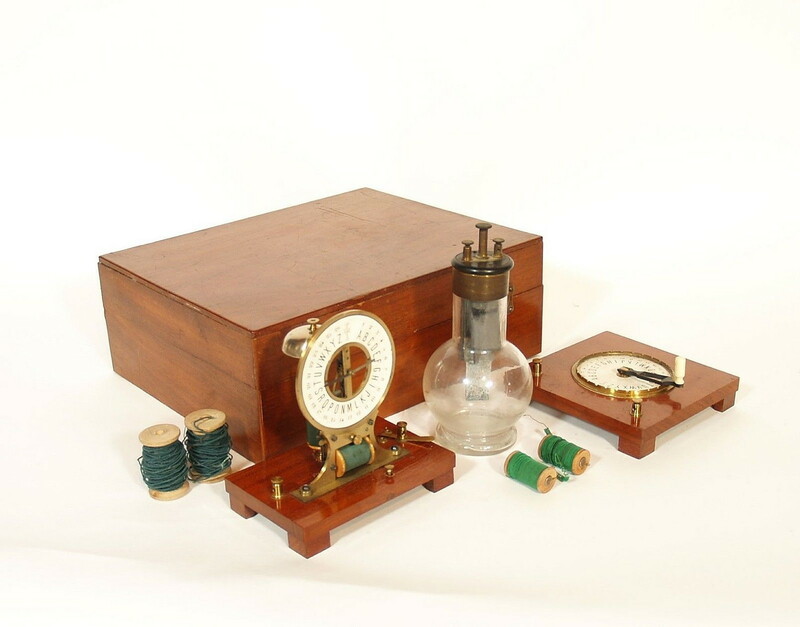 Starting in the 1850's, the early French telegraph systems used a Dial Telegraph, which consisted of a transmitter and a receiver. 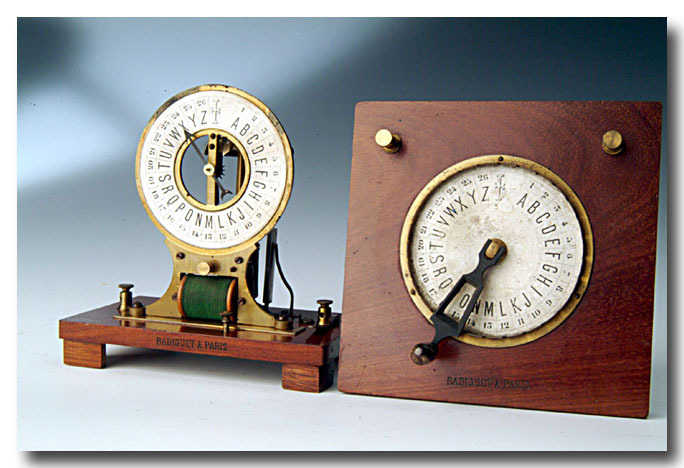 The transmitter was a circular metal disk with the letters of the alphabet and numbers stamped into the outer edge of the face. 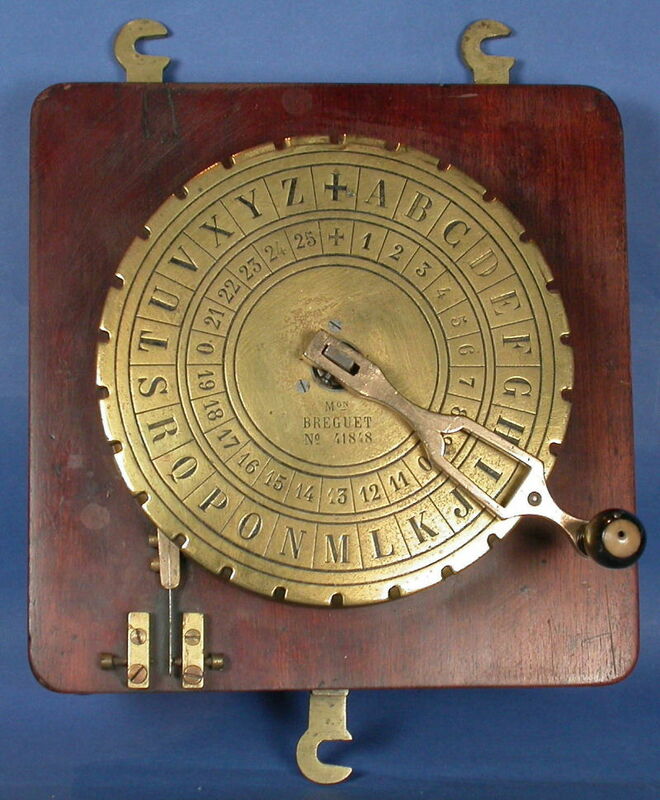 A handle was then rotated to the desired letter or number. Each time a letter or number was passed, it would close and open a switch, advancing the position which the receiver would read. The receiver then consisted of a wooden box with a glass front. 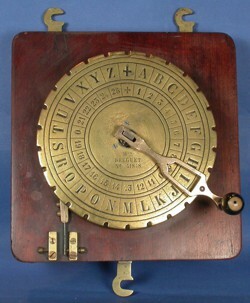 Behind the glass was a large dial, printed on paper, also with the numbers and letters of the alphabet. 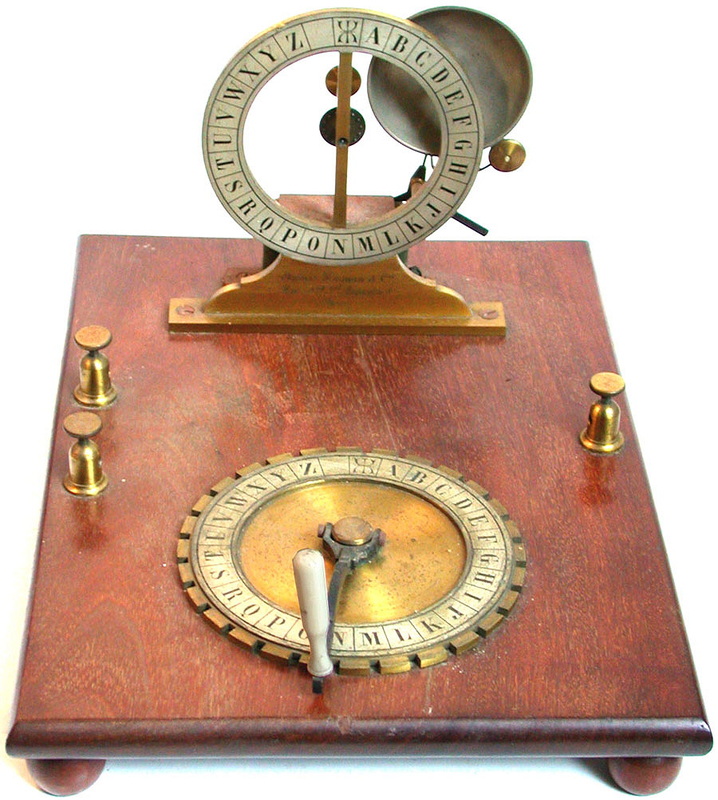 A needle in the center would rotate around the face according to the number of positions the transmitter dial was rotated, thus conveying the message. 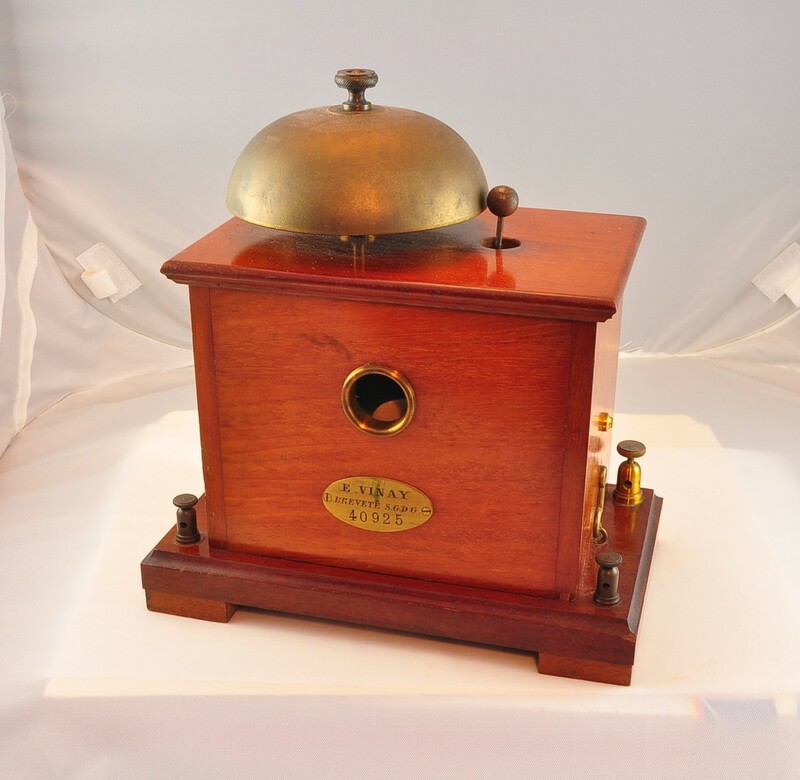 Along with the transmitter and receiver was a bell box which rang a bell and lifted a flag when an incoming message was received. 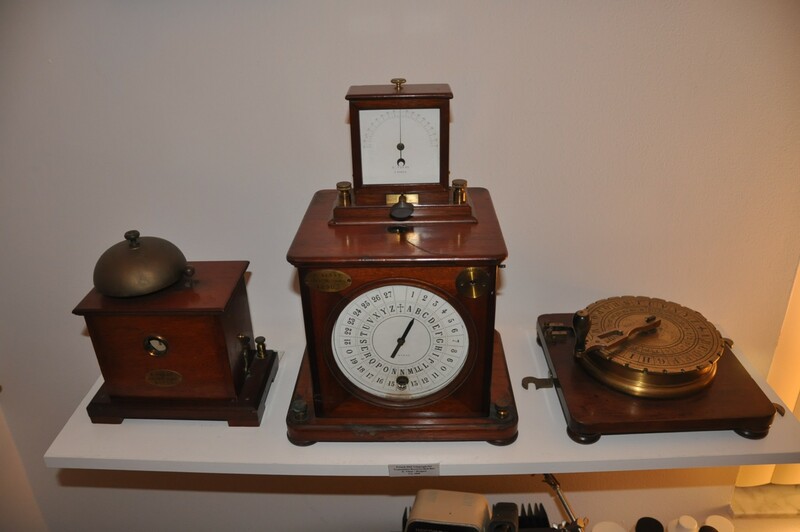 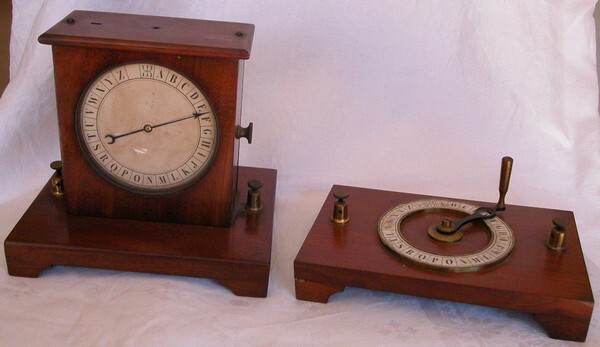 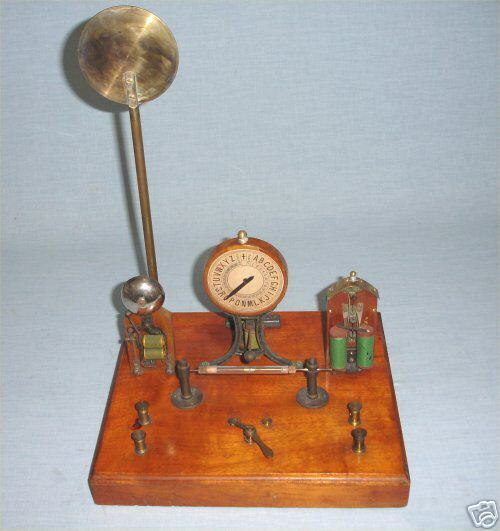 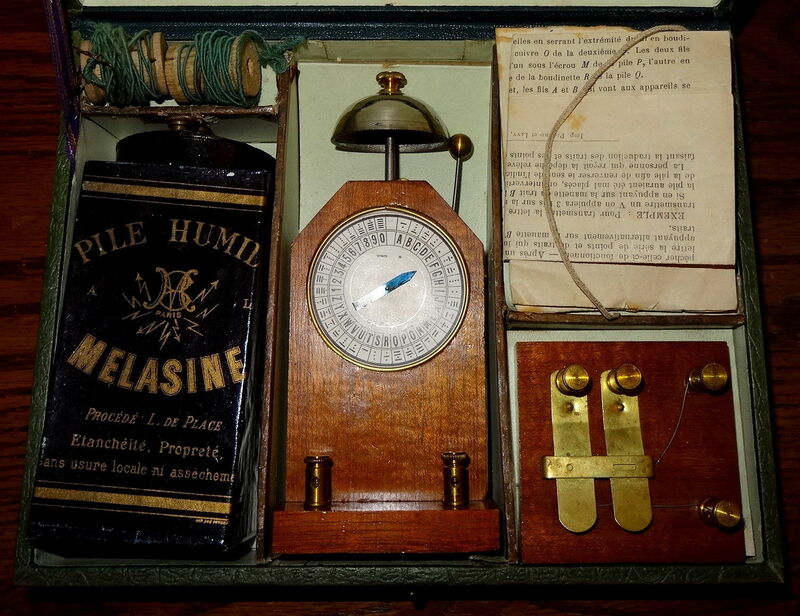 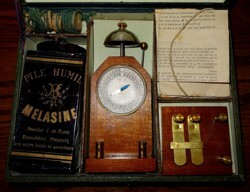 A complete French Dial Telegraph consisting of transmitter, receiver, bell box and galvanometer. The transmitter is made by Breguet, while the other components are made by Vinay. Ca. 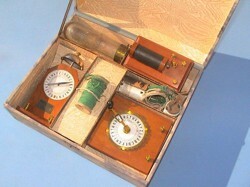 1850's.